Recently, I reached 1,000 followers on my Instagram for @thebloominbrilliantblog, so I thought I would do a Q&A just to answer some questions about myself you may not know. An awful lot yes… a lot more than I should! I just can’t help it sometimes. I love the smell of the new Dolce & Gabbana perfume called Garden. I also love the smell of curry cooking. Originally, I wanted to be a primary school teacher when I was younger and I loved pretending that I was one when I was little, for some reason that just changed overtime. Alcoholic would have to be a gin and tonic, I like Rhubarb and Ginger with an Elderflower tonic. Otherwise, I would say a classic cup of tea. For me I can either wear stuff that is quite out there… or I will just wear normal stuff like a jumper and leggings like today. It depends on the day really and how I am feeling. I am a chronic nail biter, it is such a horrible habit to have, I have had so many occasions when I have tried to stop and grow my nails. It all depends on when I feel most stressed. I would say blogging is my main hobby at the moment. I would love to be more active, and go to the gym more often this is something that I am trying to get back into. What is the first thing that you notice about people? When I first see someone I notice either their fashion sense or their teeth, I am a bit person and teeth and I don’t like them when they are mouldy. 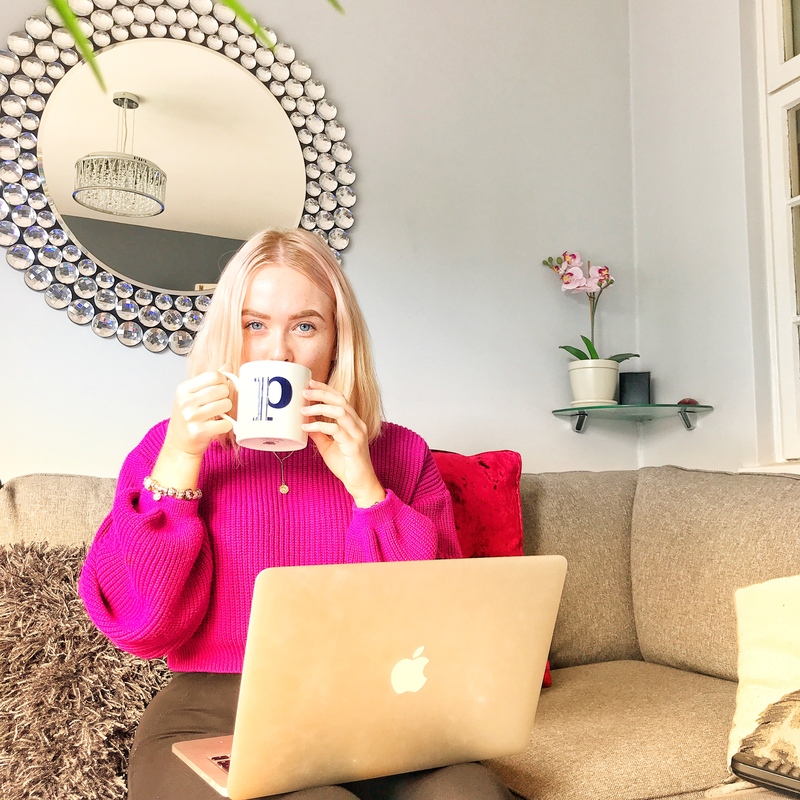 Your favourite part of blogging? I have to say it is taking the photos and editing them, this is my fave part, but I do love writing the content as well and actually getting people engaged with what I write. I study Business and Marketing at Coventry University. How do I plan my Instagram posts? I make sure that my Insta posts always look good, by planning them all on Planoly and Snug they are apps and websites that can help you schedule posts and see what they look like on your feed before you post them, which is a great way to make your feed look uniform and eye catching! I don’t really think I would I am happy with my name! At the moment it would have to be Friday Night Dinner as I have just finished watching it was so funny! I love using In the Style recently, as they have the option to use Klarna for payment which means you can just pay it off later after you have received the item which I think is a great feature. When I have had a few…yes. What scares you about ageing? Anywhere near the sea or city, either would be lovely. When did you first put makeup on? Oh god… the day I thought it was a good idea to put blue mascara on for school so probably about year 6, haha tragic! Previous Post Going back to uni (Final Year). Next Post Afternoon Tea with Me. Great post – thanks for sharing so much, like your fear of spiders – just saw a clip online of two six-foot snakes that just crashed through someone’s home air duct and that’s it – no more A/C for me!